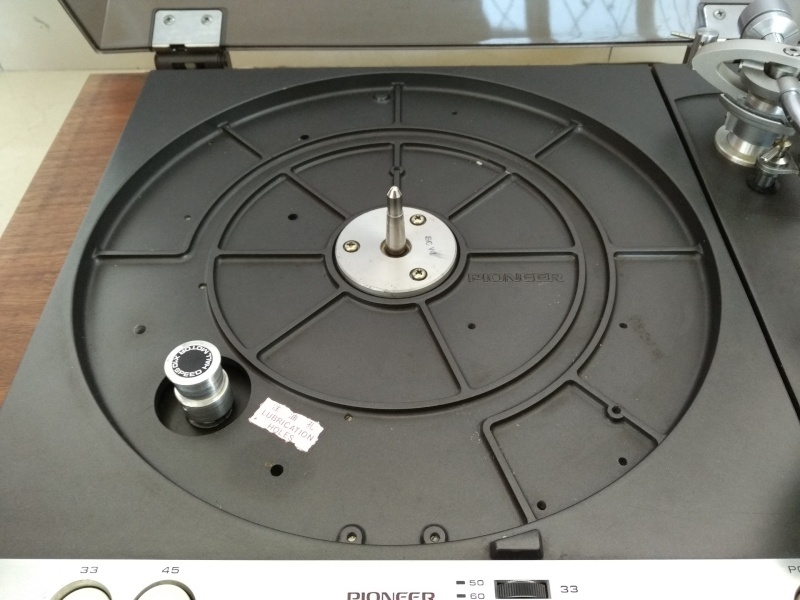 The Pioneer PL-61 is a stereo turntable with a brushless DC servo Hall motor. 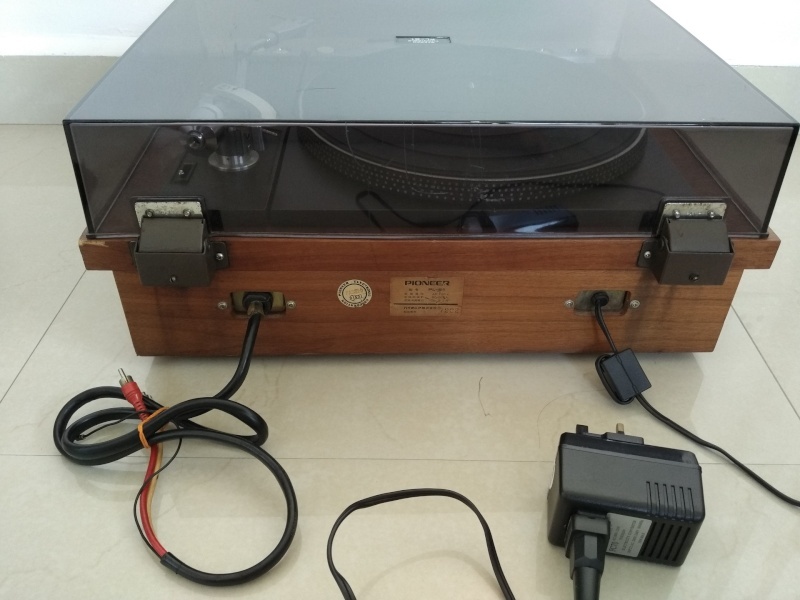 This motor, which utilizes a type of space age semi-conductor called Hall elements, is an ultra-slow drive motor that is distinguished by extremely low vibration and distortion, the two factors most conductive to quality in a turntable. 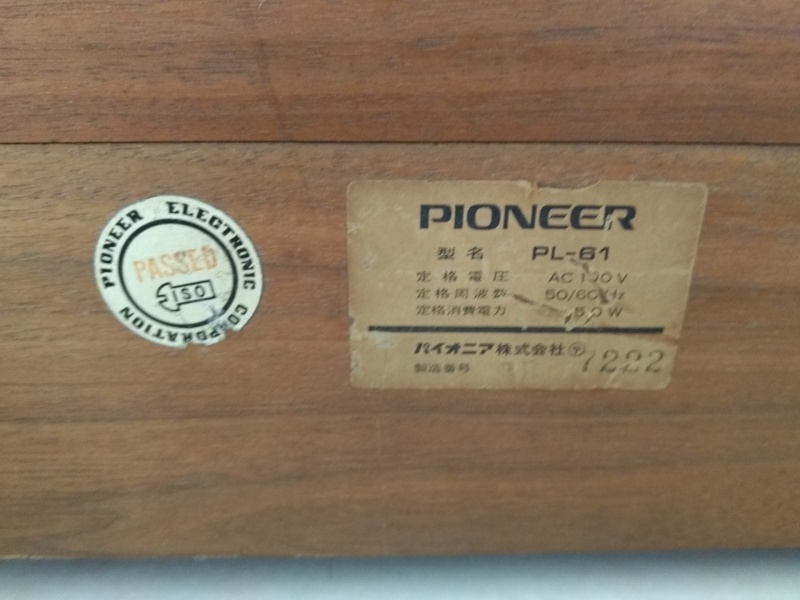 Wow and flutter of the PL-61 is measured at less than 0.05% (WRMS) with signal to noise ratio of better than 55dB. 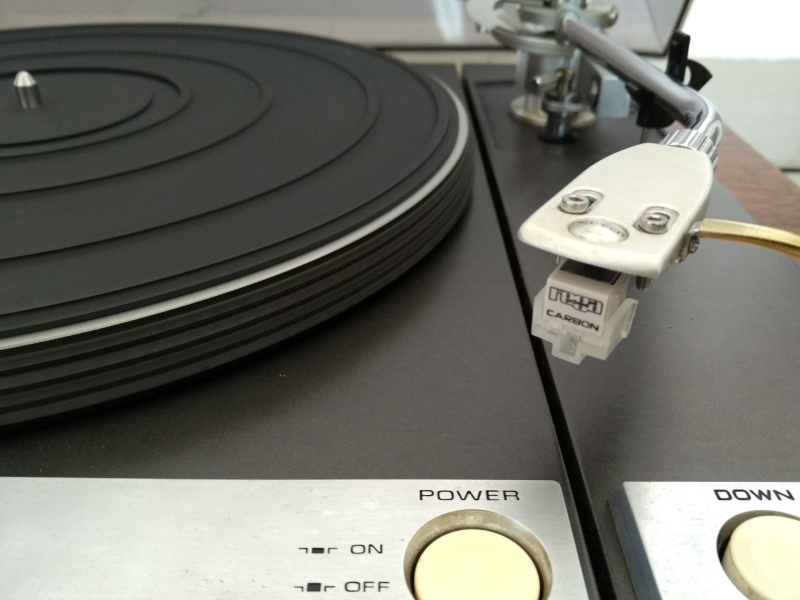 Compared to more conventional DC motor, which powers most turntables today, the brushless Hall motor has less electrical or mechanical noise, and a longer life as it has fewer mechanical friction parts. 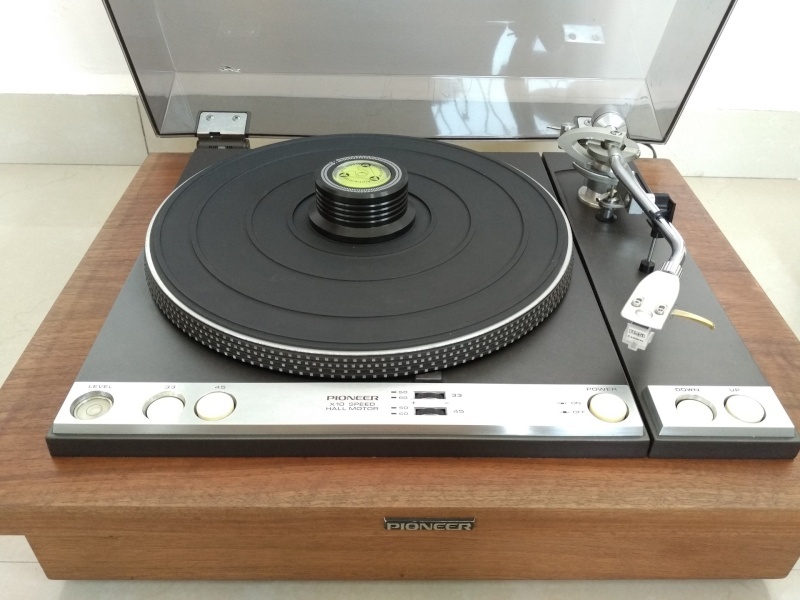 Complete with induced magnet type cartridge and diamond stylus, the PL-61 is everything the audiophile has ever demanded in a professional turntable, and is available only from Pioneer. 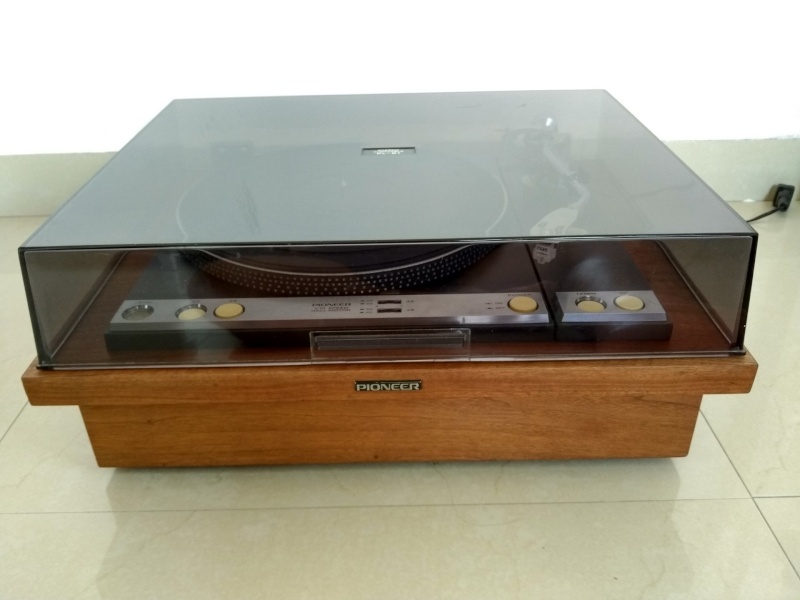 One of the nicest Pioneer Turntables ever built in excellent condition. Extremly calm drive with very massive "hall motor". 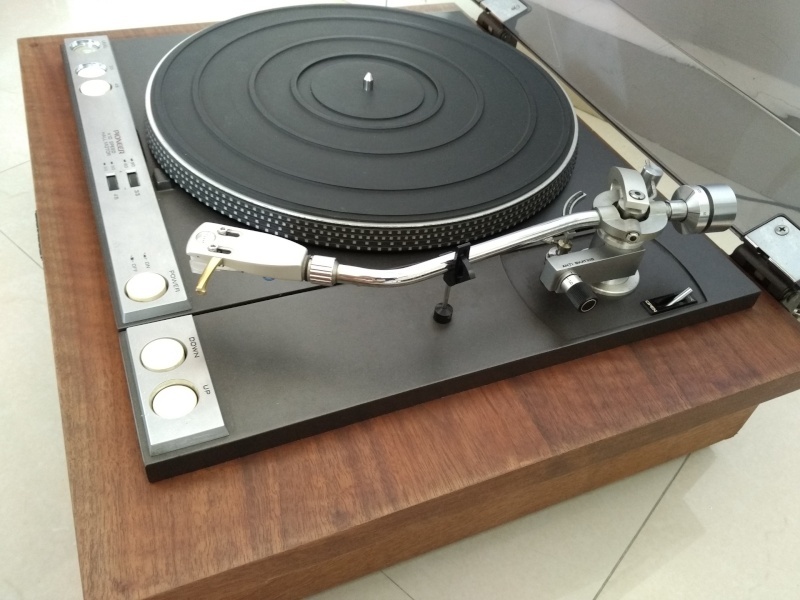 Audiophiles will know that the PL-61 is regarded as the best Pioneer turntable ever made. It is a belt drive unit with a massive and very quiet hall effect motor. 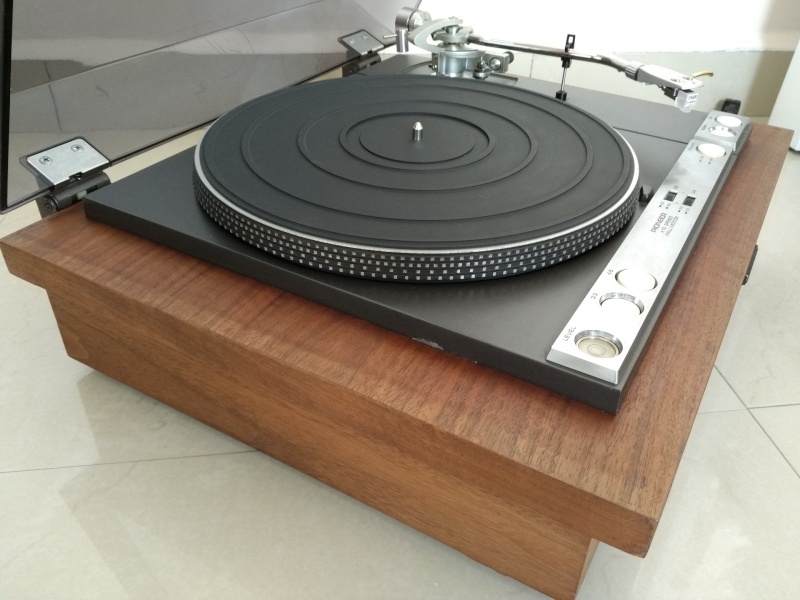 The plinth is solid, thick walnut for added damping and the adjustable feet are sprung for isolation. 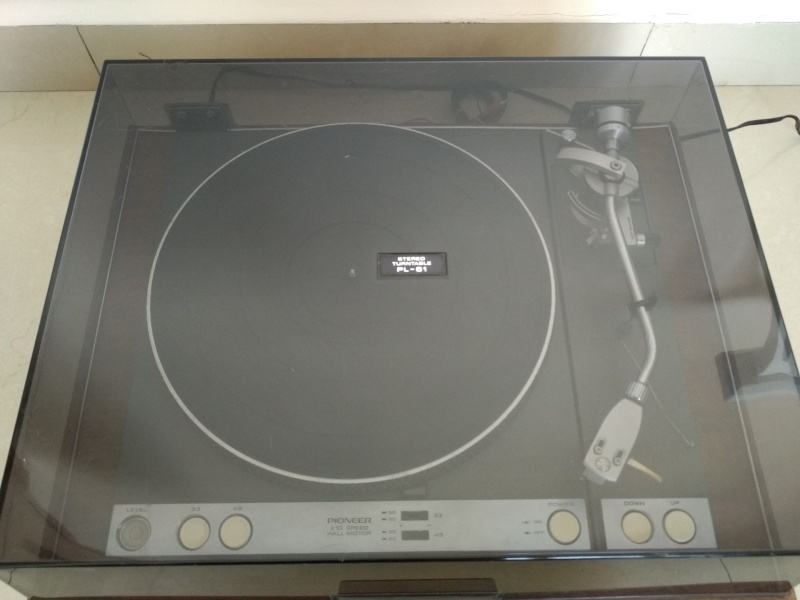 This Unit in Very good working condition. The motor starts instantly and holds speeds accurately at both 33.33rpm and 45rpm. The motor and bearing make no discernable noise through a stethoscope. The arm raise/lower action works correctly.